The internet and technology have revolutionized the way in which we access, share, create, learn and listen to music and it depends on your stance to whether you think it is a good thing or not. I believe that it is a great thing and something that we should all strive to embrace. The change means that we can discover musicians from all over the world in a few clicks, which wouldn’t have been possible to do a few decades ago. It means that more people can create and produce music as the tools needed to do it aren’t as expensive and can easily be installed on a smartphone or computer and that music is pretty much available everywhere. These are just a couple of examples of the benefits this change has brought about. Many people have cottoned on to the demand for music applications meaning that there are thousands of great music applications available. There have been applications developed for a number of different purposes such as streaming music, downloading and sharing music and creating and producing your own music. Here is a list of the top 7 music applications available in no particular order. When it comes to streaming music Spotify is one of most well known and greatest applications there is. It is available for both Android and computer meaning you can access your playlists wherever you go. The only real drawback are the advertisements but for the vast music library that it provides they’re not that bad at all. If they bother you that much you can pay to go premium for a small price, which removes all advertisements. Songza has definitely earned its place on this list. This is because it is a wonderful application that builds playlists depending on the mood that you are in. The app makes it simple to choose what situation you need music for may it be a party, some music to get to you to sleep or a nice romantic night in. It is a great idea and best of all it is free! This application is just what it says on the tin. It is a brilliant piece of software that allows you to become a DJ. The interface looks just like a set of turntables with all the features you need. It’s extremely easy to use as well all you need to do is drag and drop tracks from your library and you’re good to go! SoundCloud is a great application for sharing your own music with others. It allows users to easily upload music that they themselves have created so that others can listen and provide feedback through commenting. Another great thing about SoundCloud is that it is integrated with all the big social networks such as Facebook, Twitter and Tumblr. 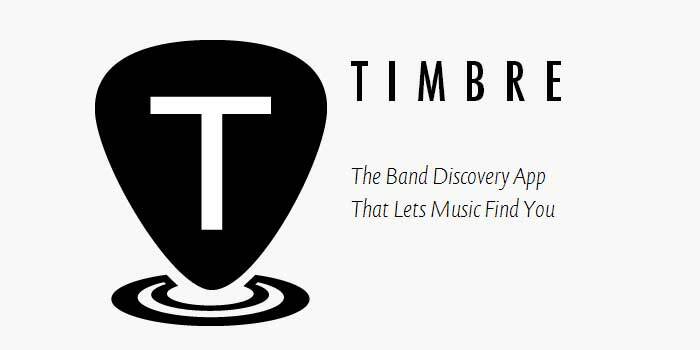 The motto for the Timbre application is “let music find you” and this is exactly what it does. It is a great application for people who want to discover new music as it makes it incredibly easy to do so. You can search for artists using local venues and create a playlist and if you like an artist you are listening to the app makes it simple to book tickets to go and see them live. BearShare is a free music downloading program. It allows you to download music and easily put it on your music device. It has a wonderful layout and is packed full of really useful features such as a discover function for finding new music and a DJ feature that creates a playlist based on any artist that you type in. When it comes to downloading music BearShare is a must have application. Ever had that problem where you want to know the name of a song or artist you are listening to but nobody you are with knows the answer? Enter Shazam, which is an applications that will get rid of this problem for you. All you need to do is open the application and click a button and it will recognize the song you are listening to and tell you what it is. From this you can choose whether you want to download the track or not. Guest post by contributing author Richard O., written on behalf of Bearshare. Check them out, to get free music and MP3 downloads from BearShare. Don’t forget SoundHound 🙂 It’s like Shazam but you can just hum or whistle to a song and it magically lets you know the name of the song! i personally like virtual DJ because of the easiness in its use, Bearshare cuz it lets you download songs and i love that. 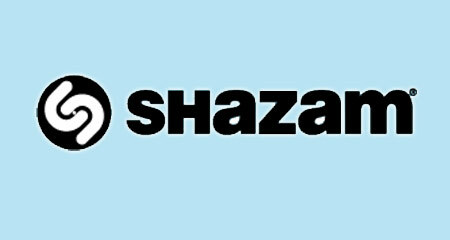 Also, shazam because i have a knack to know all about mu music, artists, songs, composer etc.